Hey guys! I wrote this program in 2011 and have been working on it since. I thought I would make a post here to let you guys know about it. Here's a link to the post on minecraftforum.net where you can download the mod, and where I put up updates, and people can have discussions about the program. 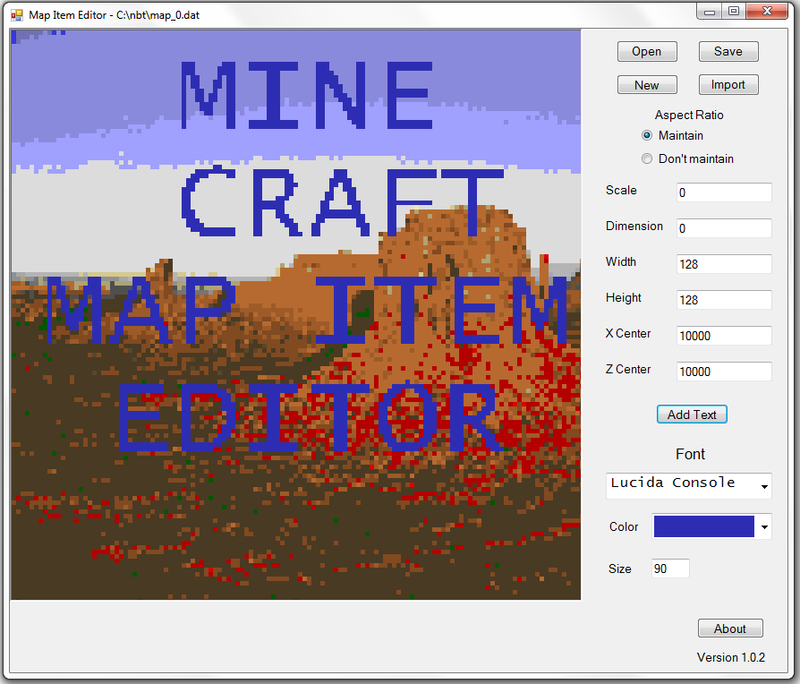 In minecraft, players can make a map item. This map item shows the surrounding area centred on where the map item was made. Here's an example of a map in game. 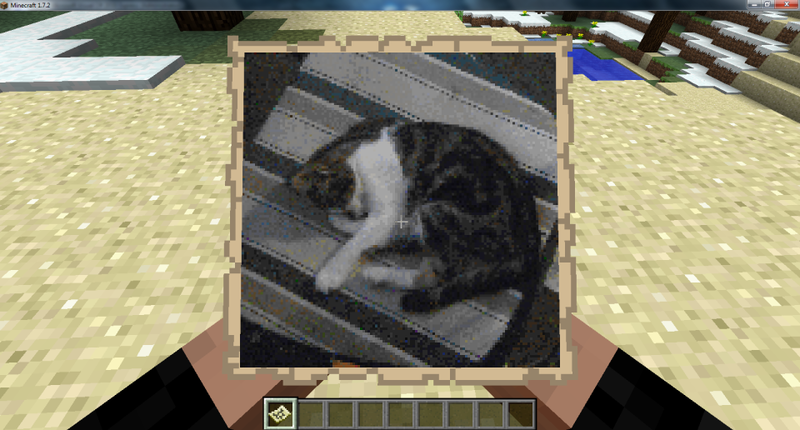 You can even put a number of these map items together to easily make custom art work without having to fiddle with the innards of minecraft. Well, you do know the trick of setting up a map in The End and doing stuff there in Vanilla right? I suppose it would be useful for adventure map makers and/or mod developers for Minecraft, but they would likely want it in a jar form with an API they could use for the mods, and for the map makers the changes should work in a vanilla save without needing your mod. 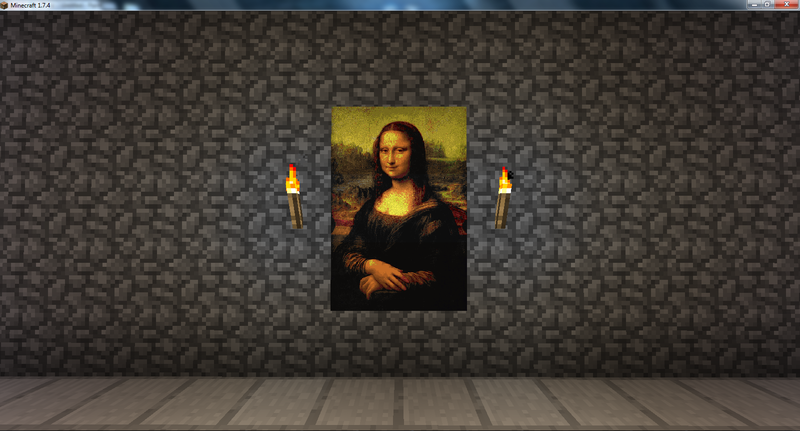 The cool thing about this is that it directly modifies the minecraft data file, so while you need the program to make the changes anyone else can see the changes you make, and don't even need to download the program. Mod is the best way to describe it since it is an addon of sorts to minecraft, but it only modifies the data file itself, not the game of Minecraft. Maybe calling it a mod is not the best descriptor. Maybe better to call it a minecraft tool.